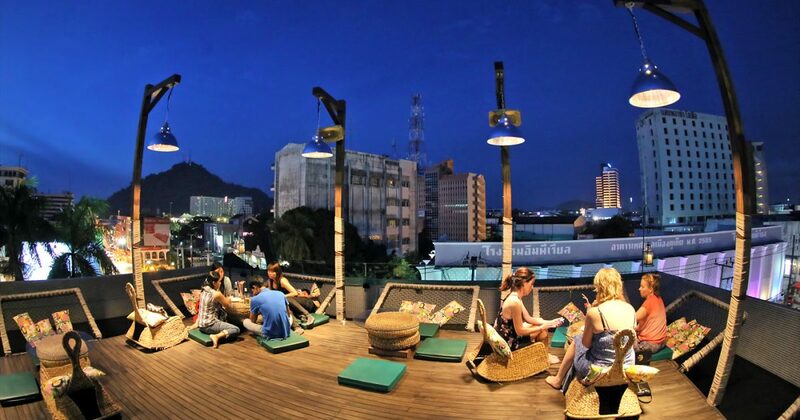 Quip Sky Bar is an unexpected rooftop bar and restaurant at the top of Quip hotel in Phuket town. The hotel itself is really original and fun to visit, with an old Austin car used as a reception counter. 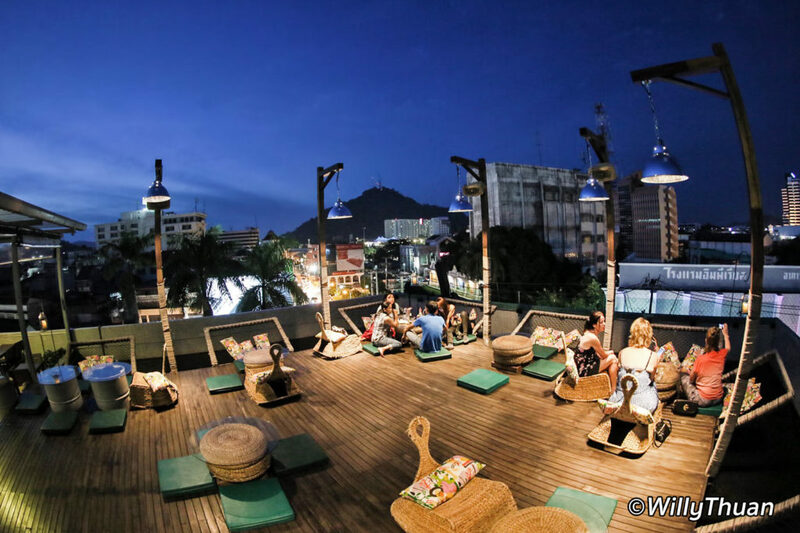 Since it is located quite close to the historical streets of Phuket Town (Thalang road, Dibuk road and Phang Nga road) it makes it a really good way to cool down with a drink in a unexpected location. 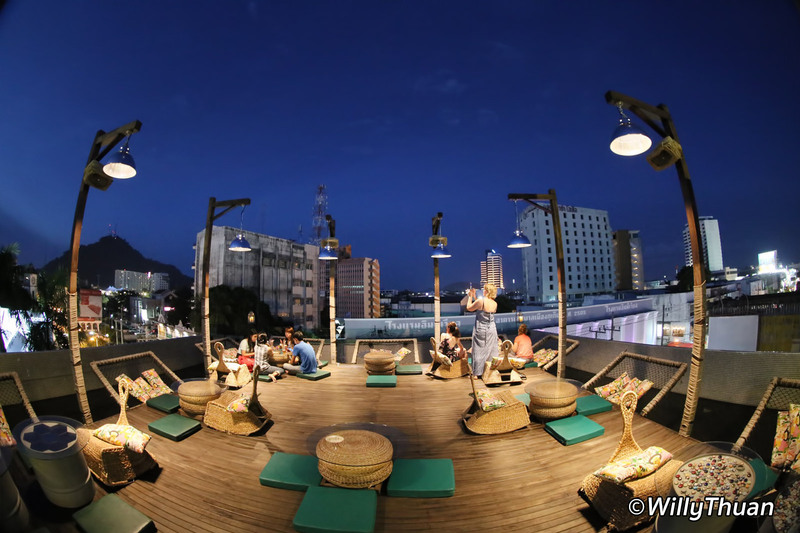 Don’t picture a sophisticated Bangkok rooftop bar here… it is a large wooden platform with incandescent lights hanging from wood poles and comfy bean bags to crash in and look at the sky above. While the view from up there (and it’s not high either) is not particularly impressive, the result works actually well. The food was surprisingly good and not expensive either since Quip is a budget hotel. 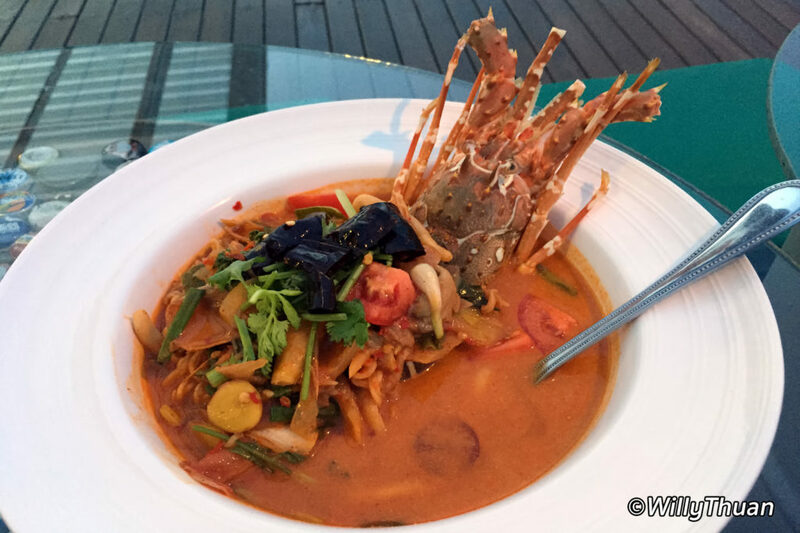 Maybe not for a full dinner but great if you are hungry and thirsty after your Phuket town exploration. This is into far from the weird ‘Thavorn museum, the upcoming Baba museum, Cat Cafe and One Chun Restaurant.